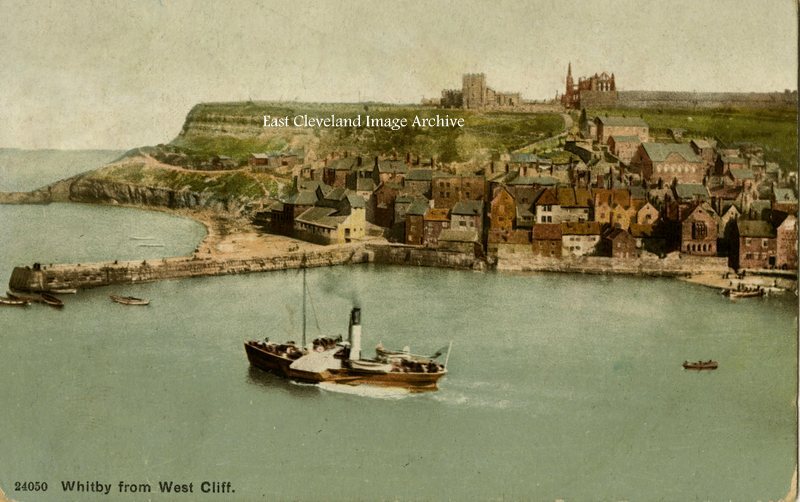 This Valentine’s postcard view taken from above Kyber Pass (just beside the whale bone arch looks towards Whitby Abbey and the east cliff. 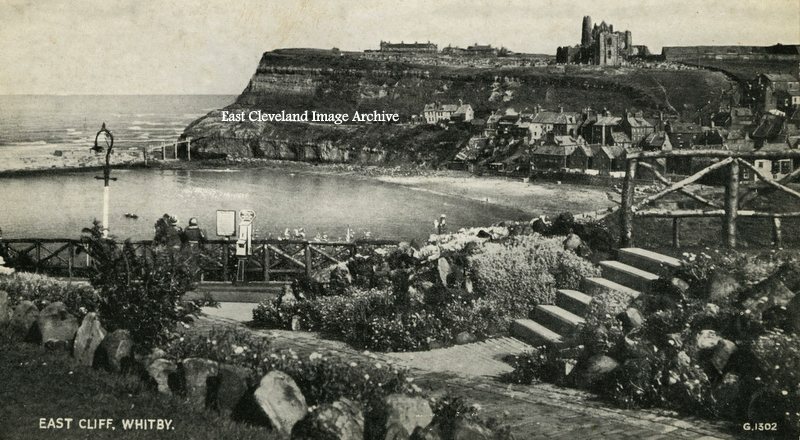 Dating from the 1950s, the flower beds and hand rails are much changed today. Image courtesy of Iris Place. 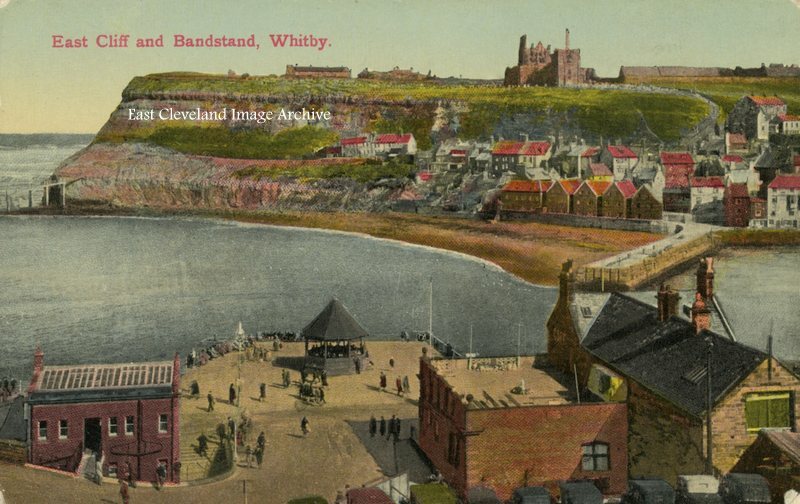 An un-mailed postcard is from the early 1900s, hand tinted it presents a colourful view of Whitby Abbey and Tate Sands. This Photocrom postcard dates from 1909 and is delicately hand tinted. Even in those days the senders were enduring ‘wretched weather’, some things never change. 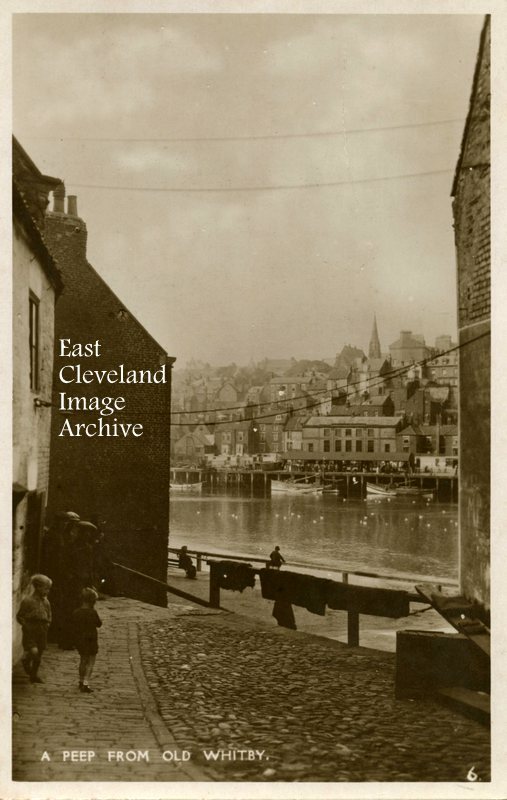 This enchanting postcard view is very aptly entitled, dating from the 1950s; similar views can still be gained and this despite the thronged main and side streets on both sides of the river. 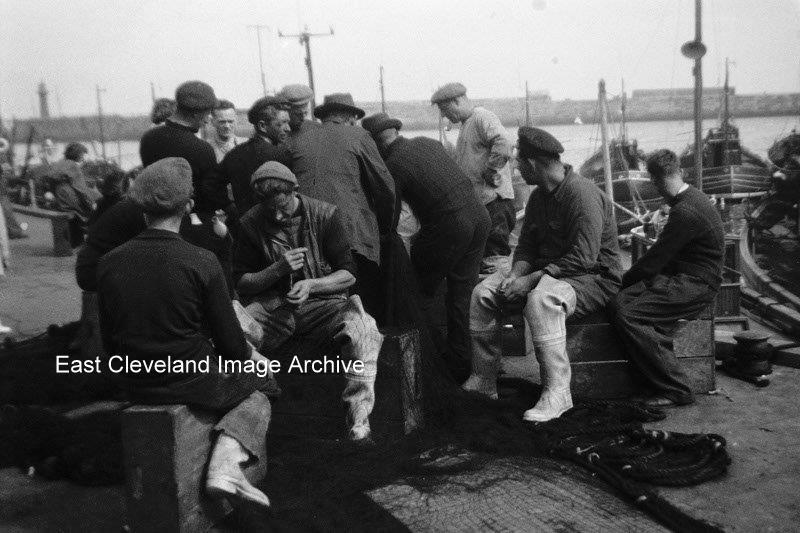 Although the younger people are differently dressed today, the older fishermen still bear an uncanny resemblance to those in this view. 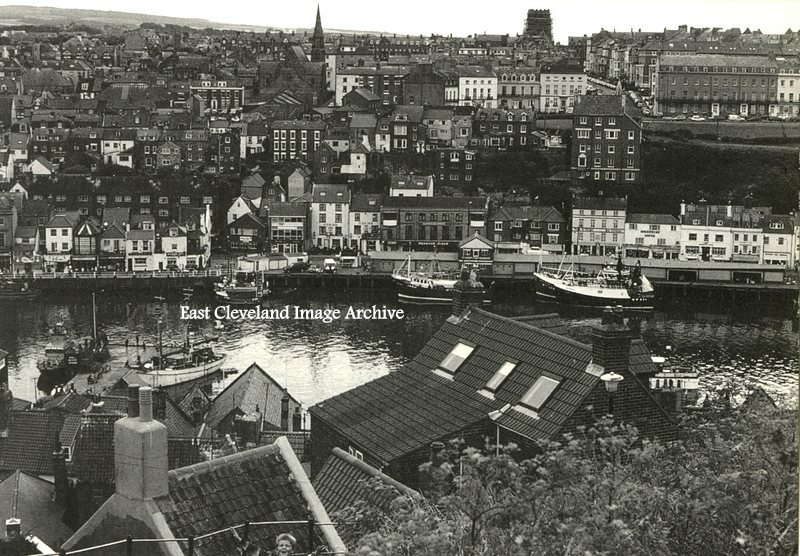 Viewed from the famous 199 steps, this 1960s view of the fish quay and market is still unchanged today, although the numbers of boats regularly using the quay and market is now much reduced. Also the long familiar ice making equip ment is now gone. But the hopeful younger fishermen still throng the harbour sides fishing for crabs and fish. Image courtesy of Irish Place. 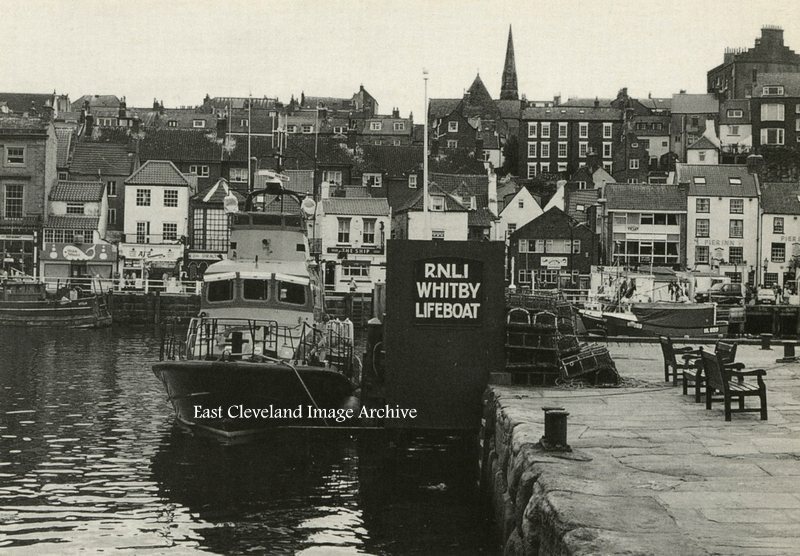 Whitby’s Trent Class All-Weather Life Boat ‘George and Mary Webb’ on station at Whitby; the boat arrived in 1994; it has a range of 250 nautical miles and can reach speeds of 25 knots. The boat is designed to lie afloat (it does not have to be launched) as it is ready to go at any time; a useful attribute when considering the history of earlier lifeboats at Whitby and difficult launches. This J. T Ross postcard view of Cappleman’s Yard although not postmarked dates probably from the late 1890’s. Situated at 43/44 Church Street, Cappleman’s Yard is first listed in 1828 and later in 1899, changed its’ name to Stanley Place c.1909. 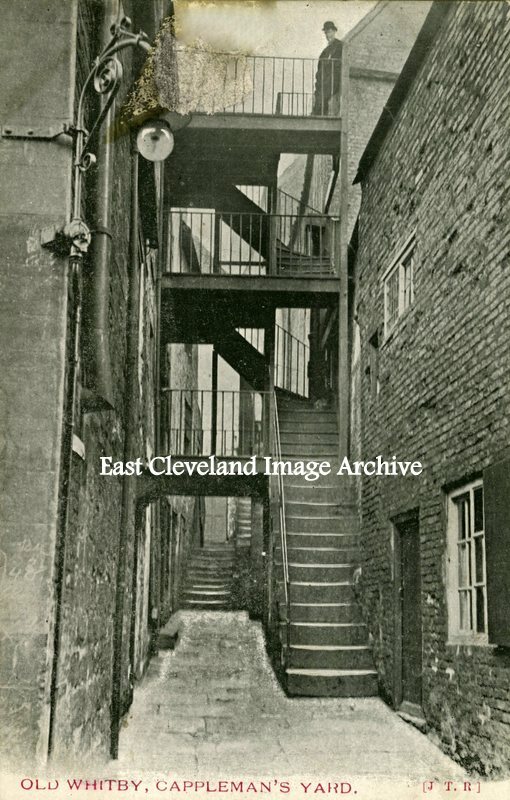 A typical example of a Whitby yard with steps and landings crossing the narrow yards or alleys which adjoined Church Street in particular. 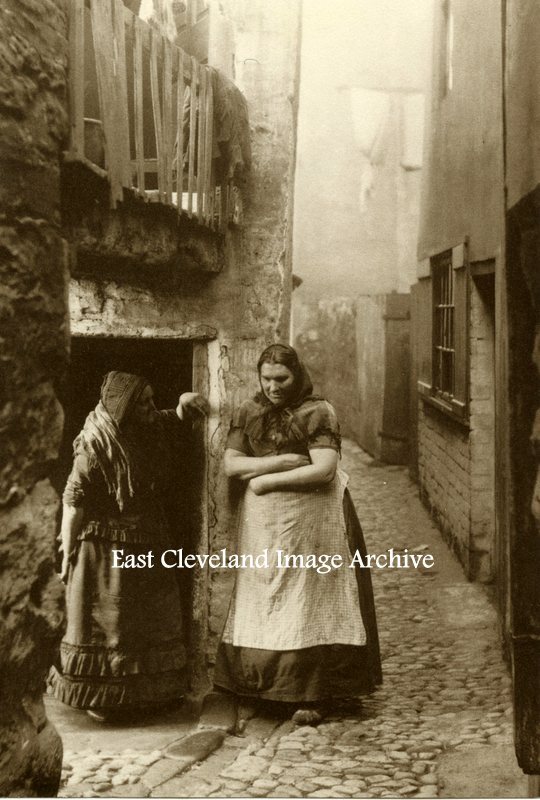 The actual title of this Frank Meadow Sutcliffe postcard (a Jayscale Reproduction) is “Women in New Way Ghaut, Whitby”, but the immediate impression when first viewed is that two ladies are enjoying a ‘quiet discussion’. Perhaps another ladies reputation or style was the topic of conversation? 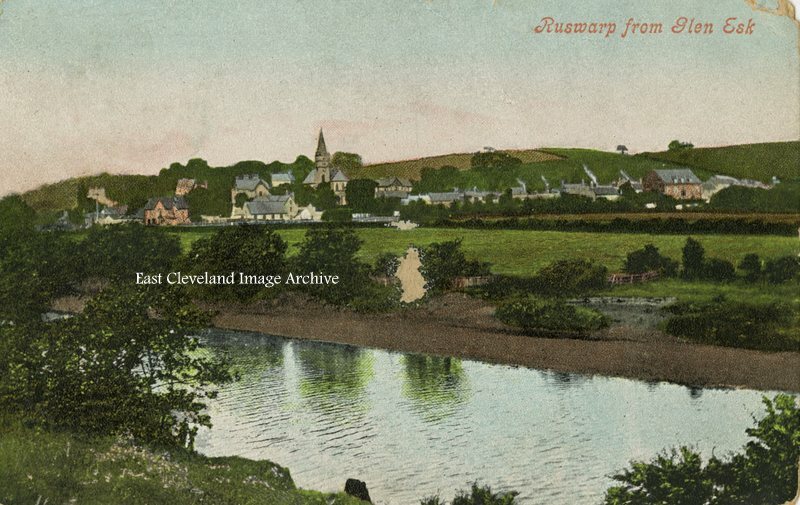 This Valentine’s Series postcard postmarked 1905; views Ruswarp from slightly down river than the normal views that include the road and rail bridges. At the is point the River Esk is of considerable expanse as it wends its’ way to Whitby and the sea.